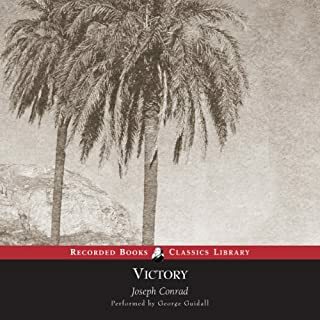 The Secret Agent was one of the first espionage novels ever written, and it is certainly one of the finest in the oeuvre of Joseph Conrad. The story concerns the attempt by a group of back-alley revolutionaries to destroy one of London's most famous landmarks and thereby set off a revolution. 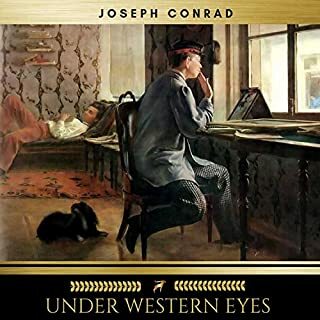 As the plot unfolds, we discover a cast of unlikely villains, self-aggrandizing intellectuals, overeager bureaucrats, fame hungry politicians, and innocent bystanders, all described with poignant psychological depth as only Conrad could. The story centers around Adolph Verloc, owner of a Soho bookshop and ostensibly a member of a group of home-grown anarchists, but actually in the pay of a foreign government. Verloc's quiescent wife, Winnie, maintains their stable household in which she tries to provide for her retarded brother and her aging mother under the thinly disguised irritability of her husband. The anarchist collective consists of "Doctor" Ossipan, who lives off his romantic attachments to women barely able to take care of themselves; "The Professor", an explosives expert who is so insecure that he is perpetually wired with a detonator in case he is threatened by police capture; and Michaelis, a corpulent writer composing an autobiography after a mitigated sentence in prison. This production includes a brilliant introduction by Thomas Korzeniowski, a distant relative of Conrad (whose real Polish name was Josef Konrad Korzeniowski). It is not only a fitting tribute to his renowned predecessor, but a very insightful look into the man and his work. The reader manages to draw out the humorous undertone in Conrad's rich prose. As a result, it is not the story itself that kept me involved in this book, so much as the narration of the story. Conrad's understanding of the nature and tactics of terrorism is thoroughly modern, and his characterizations seem very real. A good listen. 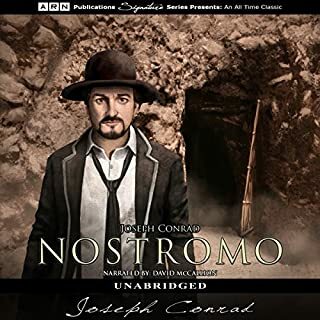 Having read, of course, Heart of Darkness and Secret Sharer, and being interested in early detective fiction, I decided to listen to this novel. The narrator was fine enough, and I forced myself to take a deep breath and relax into the leisurely pace of the narrative. It was well worthwhile. 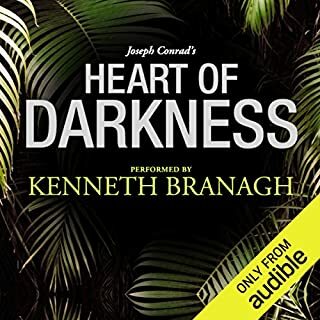 Listening in this way reminded me of the vast amounts of leisure time novel readers used to have and I let myself savor Conrad's remarkable prose. By the time the plot thickened (be patient, it does thicken), I was hooked. Read this book for insight into the nature of the evil man. He thinks self special and clever. It is most often simply degenerate or libertine. 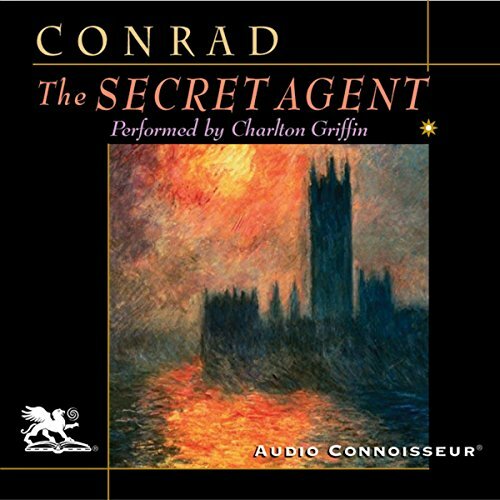 This is a great production of Conrad's Secret Agent by Audio Connoisseur, Charlton Griffin narrating. It includes an introduction by a living relative of the author. 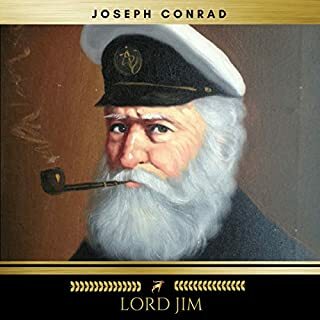 Conrad, whose most famous books were about seafaring, wrote this lesser known work around 1907 about a man who serves as a spy for a foreign country in the Edwardian era. He is provoked by his employer into committing a terrorist act in order, supposedly, to cause the British police to clamp down on anarchists and communists. But the bombing goes awry and fails to produce the desired result. The story is a thoughtful portrait of a selfish man and the self-centered maneuverings of those around him: the police, the Minister in the government, and the foreign ambassador. Yet the story has resonance for modern times and provides insight into the minds of modern suicide bombers and terrorists. Like listening to Charlie Brown's teacher. While this is one of the classics, it did not grab me in a couple hours of dedicated listening, so I put it aside. This is the third try, so I give up. 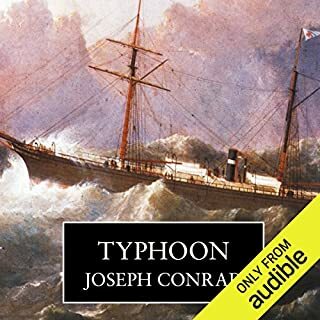 The main disappointment with this audiobook is the reading. I'm afraid I found Charlton Griffin's voice almost unbearable. I'm not sure whether he's American pretending to sound English or whether there's some other explanation, but the reading spoiled the book for me. The book is also very dated. The best parts were the descriptions of the narrow, depressing life lived by the chief character's wife. What would have made The Secret Agent better? Has The Secret Agent turned you off from other books in this genre? I am less likely to purchase other works by Conrad or by this presenter. What didn’t you like about Charlton Griffin’s performance? The performance is quite possibly appropriate to the dated and dour nature of the work. Some levity would have been appreciated. Some intonation was too forced. Unfortunately the narration makes this offering almost unlistenable. The odd mispronounciation I can cope with, but the way that Charlton Griffin mangles Conrad's syntax and his inappropriate and disruptive "characterisation" has to be heard to be believed.